Last night I watched a BBC documentary from Michael Mosley called ‘Should I eat meat?’. Doctor Mosley is well-known for his personal experiments with food and exercise and his well publicised ‘5:2 fast diet’. Before watching I’d already planned to post one of my favourite ways to slow-cook beef, so I thought I’d couple the recipe with my take-outs from the documentary. Documentary: Should I eat meat? In his documentary Michael Mosley looks at the impact of red meat (specifically lamb, pork and beef) on both immediate health markers and overall human longevity. At the same he talks to the current emerging thinking that saturated fat is not the demon it was once portrayed to be (lucky for me as I’m already on the pro-saturated fat bandwagon). Processed meat (bacon, salami, ham etc) should be eaten infrequently, if at all. A statistician talked to the finding that consuming just two slices of bacon daily could potentially cut two years from your lifespan. One current hypotheses is that the process pork goes through to turn it to bacon introduces potentially harmful chemicals into our bodies. Red meat (mince, legs, shoulders, ribs etc) enjoyed occasionally in its unprocessed state doesn’t seem to carry a proven health risk. In fact the protein content and B Vitamins in meat are good for you. It’s all about portion size, mindful eating and what else is on your plate (think lots of fibrous vegetables rather than sugary sauces and fries). And don’t forget the meat quality is important – cut back your portion size and/or meat eating frequency and choose grass-fed and/or organic meat. So I’ll continue to treat myself once or twice a week to a good beef burger, or a pork curry or a slow-cooked lamb shoulder. But I won’t advocate munching down a bacon butty for breakfast or a hotdog for a lunch on the go. Which brings me to this recipe. When it comes to beef you can’t go wrong with the versatility of grass-fed beef mince (not the lean stuff but the full fat variety). But when time permits nothing beats slow-cooking beef chuck or brisket or cheeks. Here’s a Mexican recipe originally from Neil Perry, one of Australia’s most influential chefs. 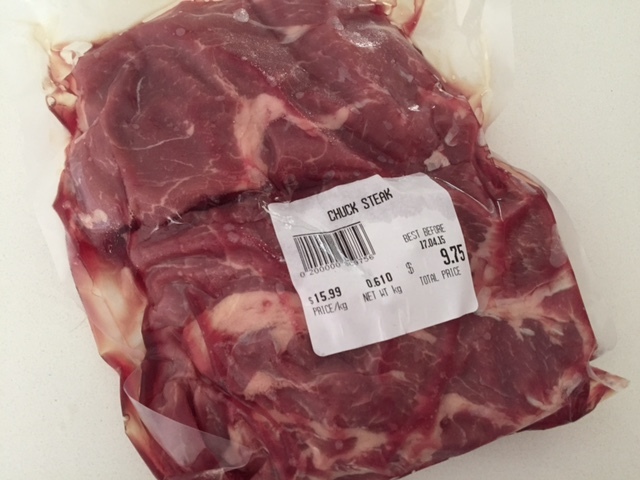 He recommends this base with beef ribs (and it works well) but I recently tried it with beef chuck and the result is just as good. Adjust the quantities accordingly depending on how much meat you’re cooking. Bring the meat to room temperature and pre-heat the oven to 150C (conventional setting). Heat the oil in a saucepan, and sauté the green chilli, garlic, salt, pepper and all of the spices – for around one minute, or until fragrant. Add all of the other ingredients to the pan (apart from the beef) and bring to a simmer. 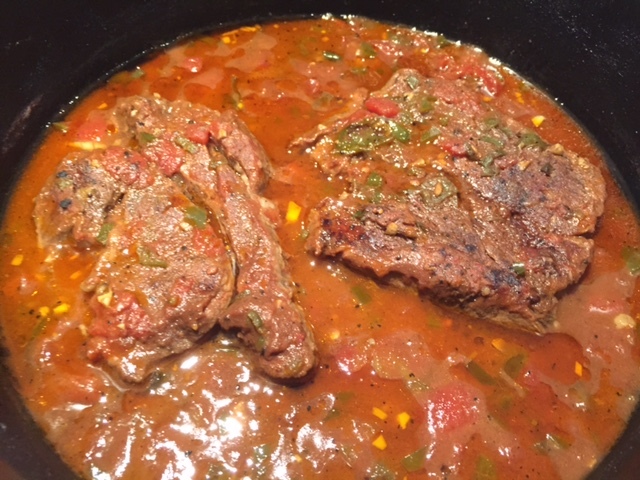 Add the beef to an oven proof pot or dish and cover with the sauce. Cook for 3-4 hours at 150C or until the meat is tender (cook for 2 hours or so on 170C if pushed for time). Remove the meat from the pan and rest it on a wooden board for a few minutes. Using two forks shred the meat (it should literally fall apart). Return the meat to the sauce. Stir through the lime juice and sprinkle over the fresh coriander. Serve with tortillas, guacamole and a shredded cabbage salad, as well as heaps of fresh coriander and lime. Tags: beef, brisket, cheeks, chuck, Mexican, recipe, slow cooked. Bookmark the permalink. Previous post ← The potato – gluten free friend or carbohydrate rich foe? Oh good! I’ve been looking for more and more slow-cooker recipes lately. Thanks!… And I’m curious about the cocoa powder. I’ve seen it used several times in chili before. I’m wondering it flavor it adds to it? Hi Deanna you only need to use a little bit and I’d say it adds a depth and richness to the flavour – it doesn’t make it taste like chocolate that’s for sure – give it a go and experiment! Thanks so much – it is so good. Let me know how it goes! Ooohhh looks heavenly! I love trying recipes for my crock pot especially when its so hot out! Thank you for this recipe! Yes I make it in my Le Creuset and it works a treat – let me know how it goes! Eeek – no bacon? Not sure I could do that…. although see the logic of not eating too much processed meat. Grass fed for me all the way though and this is bookmarked …. looks heavenly. Thanks Sally – I’m not giving up processed meat, in fact had a little chorizo just yesterday, but will just have it occasionally from here in! 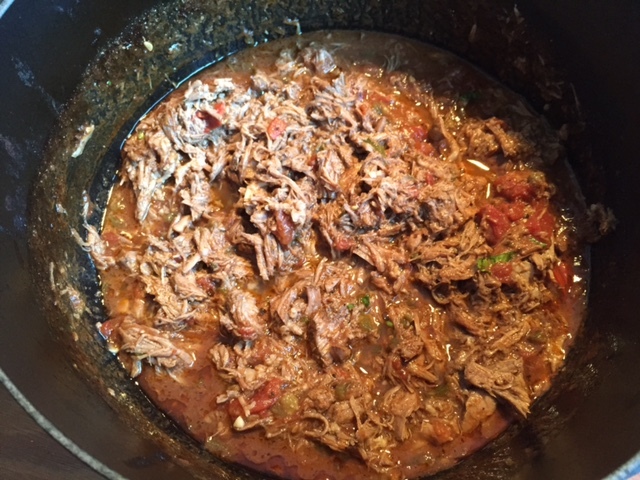 I’m a total fan of slow cooking, this recipe – wow – looks just totally amazing, I will try it. Thanks for sharing. Thanks Cecilia – let me know how it goes! I love Mexican food and try to make it fresh and light using the best ingredients – let me know how it goes if you make this dish! Thanks Jennie and yes I’m now going to look for nitrate free bacon (and also keep it as an occasional treat)….. So glad I came over looking for paella! This recipe is fantastic. 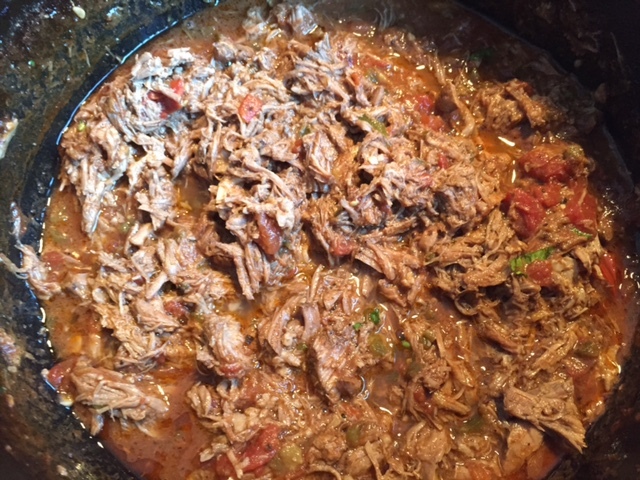 My mom used to cook beef slow and long in the oven and it was always so tender and flavorful. I’m going to try this recipe. I love your ingredients. Like you I would omit the sugar too. Really like how you added cocoa powder. This reminds me a little of a bean steak mole’ I made posted last year. Great post. Hi Seana – I just very belatedly saw this comment. Thank you so much – yes I still have the paella on my to-do list, I have to make it again first to get some photos!